No wonder the public are confused when the media features conflicting stories on aspects of health and diet on a daily basis. 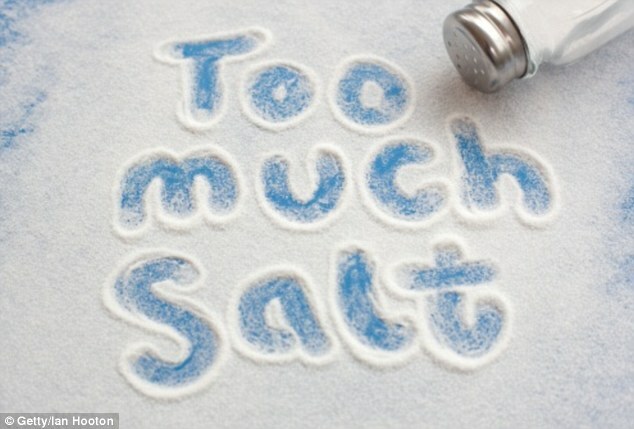 This week the stories being highlighted were about salt – one article that made the headlines was a study published in the prestigious medical journal The Lancet which showed that low-salt intake led to an increase in heart attacks; whilst the other was a warning from the Cancer Council about watching salt consumption with a call to consumers to reduce their salt intake. Confused much? No wonder consumers have no idea how to eat properly any more with such contradictory advice being made public with no context, further details or the more in-depth analysis required of the information being shared, to bring forth knowledge that is actually going to benefit people. In the thirty second sound-byte segments the media has to disseminate information, the over-riding objective is to create a story that is going to draw in viewers – and there is no way that solid, useful, and genuine material that is going to make a difference to people’s health can possibly be shared in that time frame. So we see exaggerated headlines, attention grabbing snippets and complex data broken down into oversimplified and often incorrect conclusions. In both of the articles on salt, one of the key problems is that there is no distinction made whatsoever between isolated sodium chloride that has been extracted, refined, bleached and has anti-caking agents added (which is called “salt”), and unrefined salt such as Celtic sea salt or Himalayan salt that occur naturally and contain sodium chloride, alongside approximately another eighty trace minerals. The two are very, very different products and act in the body in totally different ways. The other distinction that is not made is between naturally occurring sodium that is found in plants – and fake, processed foods that have added sodium chloride. As with any dietary related advice, you cannot take one element in isolation and extrapolate that to be the sole reason for a health condition. For example, the Cancer Council are talking about hidden salt as a health trap – but the foods they are discussing are mainly all processed foods – cereals, sauces, processed deli meats, spreads, cheeses and breads. Although the sodium chloride contained within these foods is not healthful in it’s refined state, nothing is being said about the processed foods themselves and the effect they have upon health. The mineral deficiencies that further throw sodium out of balance, the sugar, bad fats, colours, flavours, preservatives and excess proteins – it is not one isolated factor that leads to disease, but a combination of all aspects of a diet that lead to the path of degeneration. To continue to consume processed products, but choose the “low salt” variety as suggested by the Cancer Council is not the pathway to health. Good quality salt (the mineral rich natural variety) is essential to health and is part of an intricate mineral balance that the body very carefully regulates. Salt is not the enemy, it is crucial for good health, with sodium regulating the fluid balance in the body, the solubility and healthful distribution of calcium, it supports adrenal function and is necessary to regulate both low and high blood pressure. To take one mineral in isolation (sodium) and blame it for numerous health issues, is short-sighted and doesn’t take into account the myriad of contributing factors. I’ve been told to drastically cut back my salt intake for high blood pressure and for years I did do that, but just recently I saw a naturopath who has put me on a program that includes celtic salt, and you wouldn’t believe it but I have been able to come off my blood pressure medication in six months. I was so scared of eating any salt, but she gave me some research to read and that was enough to push me in the right direction. My advice to anyone would be to seek a good naturopath before taking salt out of your diet. Thanks so much for posting this article on salt! I couldn’t agree more. The public IS confused about salt intake, and I don’t think there is enough information (like this article) making the digital rounds, or discussed on more traditional mediums like TV or radio about the difference between Morton’s Salt and Celtic salt. The salt that’s sold in grocery stores is really nothing more than junk food! Next post: Bali “Bring A Friend” Offer!